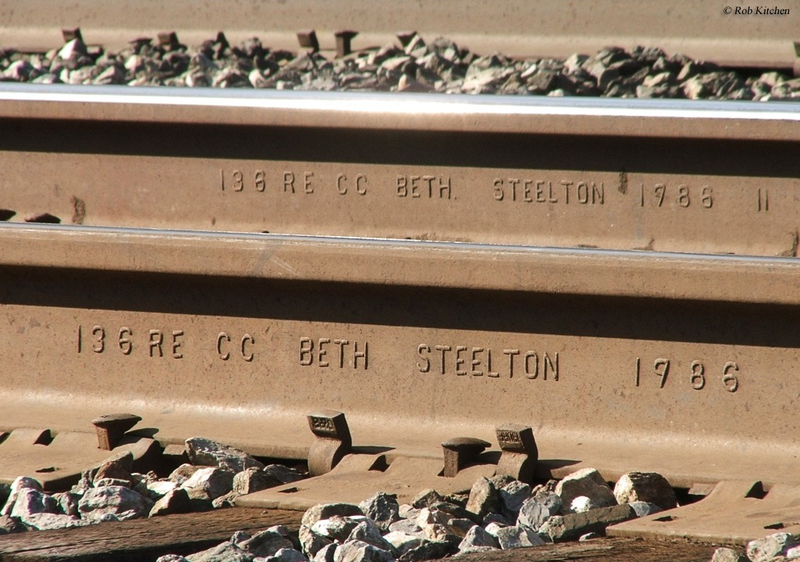 As individual components of railroad infrastructure go railroad track, or rails, is the single most important part. While the ballast and ties also play a very important role within the track structure, without the rails, of course, trains could not operate. Throughout the decades and centuries railroad track technology has gradually improved with the most important advancement coming in the development of "T"-rail in the mid-19th century. Today, virtually all main lines with speeds above 25 mph use welded or continuous welded rail (CWR) as it is much easier to maintain than the older "stick" or jointed rail that required being bolted together. The earliest aspects of railroad infrastructure are, of course, the track and roadbed. Railroad track, as with railroading itself, has its roots in England where years coal mines had been using horses or mules to pull carts that used flanged wheels to operate on wooden or strap-iron rails (which was essentially a wooden rail with a piece of flat iron attached to the top). 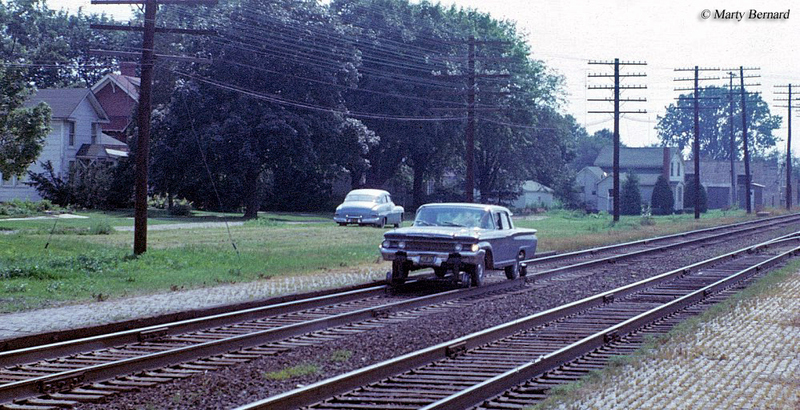 This type of track remained in use as late as the 1840s (by this point strap-rail was the norm) until solid iron "T"-rail was developed by Robert Stevens president of the Camden & Amboy Railroad, it was a revolutionary design still used to this day. The "T"-rail replaced the unstable and dangerous strap-rail (which was simply thin pieces of iron attached to wooden planks) that caused the deadly phenomenon of "snake heads" (which was an iron strap that came loose and was peeled upward by a passing car wheel it acted as a can opener when the next train passed over the broken rail literally ripping the train apart and almost always killing passengers and sometimes crewmen) was replaced by solid iron rails. Throughout most of the 19th century iron was the primary choice for railroad track and every other structure being built. However, in the 1890s the much stronger and durable steel was introduced. Steel was not only much stronger than iron but because it had a longer lifespan railroads were willing to pay a little more for it as in the end it meant an improved bottom line. It was not until the 1950s that railroad track would see another major change. That decade saw the first use of continuous welded rail (CWR), also known as ribbon rail, which is laid in lengths of 1,500 feet or so (roughly a 1/4-mile), rather than 39-foot track bolted together. Aside from saving railroads millions in maintenance costs and derailments CWR does not buckle, because it resists thermal expansion and contraction. 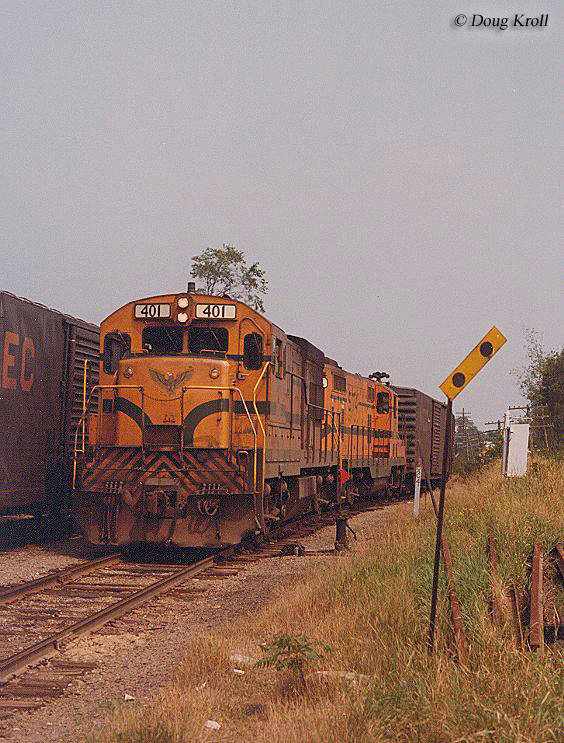 Once the benefits of CWR were realized the industry quickly began replacing its most heavily trafficked main lines with the new type of railroad track and by the 1970s most of these routes employed it. Even better for railroads was the fact that CWR did not necessarily have to be purchased new. 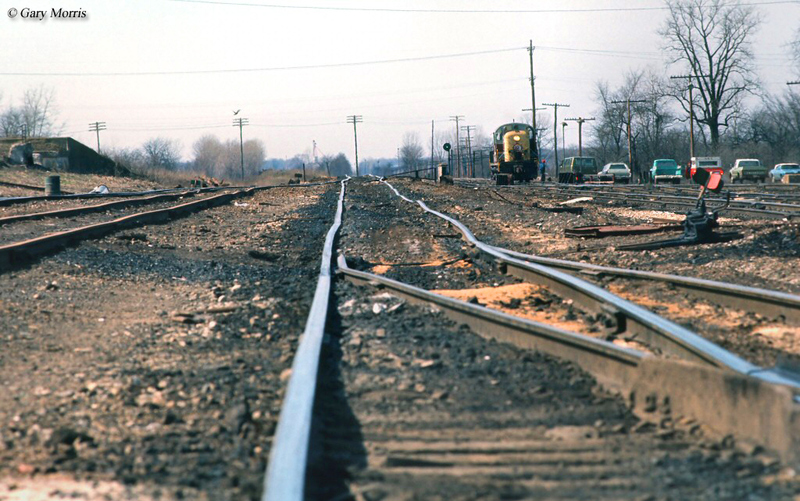 If a rail line already contained the desired track weight (such as 100, 110, or 120-pound rail) it could simply be welded into strings and relaid costing only the maintenance time required. The one drawback to CWR is its tendency to kink, or turn into spaghetti, during the high heat of summer. Known as sun kinks this phenomenon can result in either slow orders or the movements to be suspended entirely until the night or late evening when cooler temperatures allow the track to settle back into place. However, warm temperatures are needed when installing CWR as doing so in cold weather when the steel tends to contract can result in buckling and warping when warmer weather prevails. During the late 19th century railroad track could weigh less than 80 pounds (typically measured per yard) but as the decades passed and locomotives and cars grew larger the rails have had to follow. Today, the major rail arteries around the country employ track that weight at least 120 pounds but some can weight up to 140 pounds. Interestingly, relics can still be found out there, particularly on tourist railroads that can contain railroad track dating back to the late 1800s and be no heavier than 90 pounds. Today, with trains so heavy and the required weight of the track now well in excess of 100 pounds new rail can be very expensive so when purchasing it railroads try to closely match it with whatever type of service it is intended for. For instance, if a rail line only sees short or infrequent trains such as on branch lines these typically are not as heavy as long coal drags, which will, naturally, require much heavier rail. In any even, early railroad track has given way to the much heavier and more comfortable (in terms of the ride) ribbon rail. And, CWR has become a science into itself as railroads must make sure they install the rail correctly and in warm enough temperatures to keep kinking from occurring.